Note : Auto available from Govindpuri Metro station easily instead of Badarpur Metro Station. 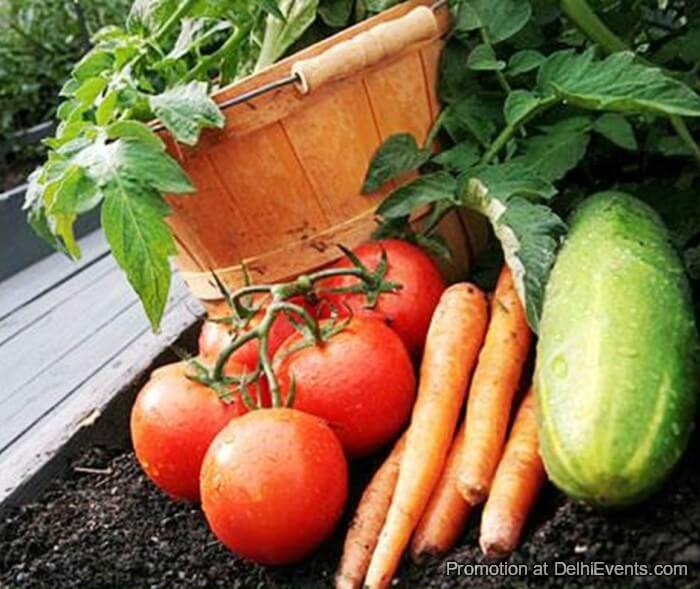 Event Description : WORKSHOP "From garden to plate: Vegetable Gardening Workshop"
Take a pledge to grow your own vegetable and fruits at your home. BNHS CEC-Delhi instruct you how. Conservation Education Centre conducted a workshop with the idea to grow their own garden. Workshop stated with an introduction about Kitchen Gardening and composting. All were distributed a booklet guide on gardening. All participants were discussed about the methods of gardening and composting through presentation. Not only discussed they were also demonstrated on composting and various methods of growing vegetables. Also they have tried composting of organic waste. This workshop helps to enhance capabilities to reuse waste in turn reducing garbage in landfill sites and preserving nature with the use of our lesser-known and valued friends- worms, cockroaches, woodlice and microorganisms. They were instructed to optimize the breakdown of kitchen waste to produce compost that they can use to attract nectar seeking birds, bees, butterflies etc. within the urban environment, as well as grow fresh, clean, edible produce. It was great learning for all.